Just when you thought mac and cheese couldn’t get better, Chef Fabio Viviani created an Italian Prosciutto mac and cheese that just might top any mac and cheese you’ve ever tasted. 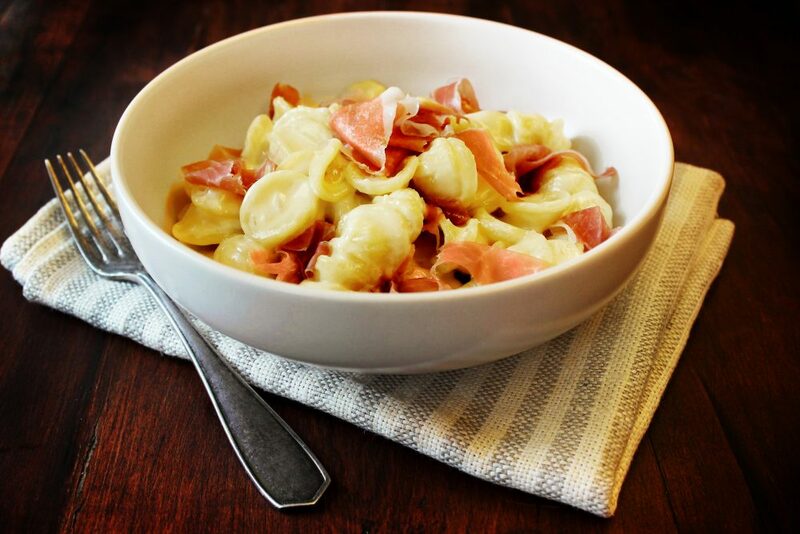 Using three traditional Italian products, Prosciutto di Parma and Montasio and Grana Padano cheeses, this recipe deliciously blends simple and traditional mac and cheese dish with an Italian twist. If it’s comfort food you’re looking for, this Prosciutto mac and cheese is sure to please your family and guests! Meanwhile, in a large sauté pan, add butter, shallots, and salt and pepper to taste. Sweat on low heat until shallots are translucent, about 3-5 minutes. Add the cream and reduce until it starts to thicken. Add the precooked pasta and toss well. Finish by tossing in the grated cheeses; reduce until the sauce has coated the pasta well and is thick, rich and creamy. Just before plating toss in the Prosciutto di Parma. Platter and garnish with additional grated cheeses and freshly ground black pepper, to taste.